My pizza adventures continue with this deliciously savory roasted eggplant pizza. 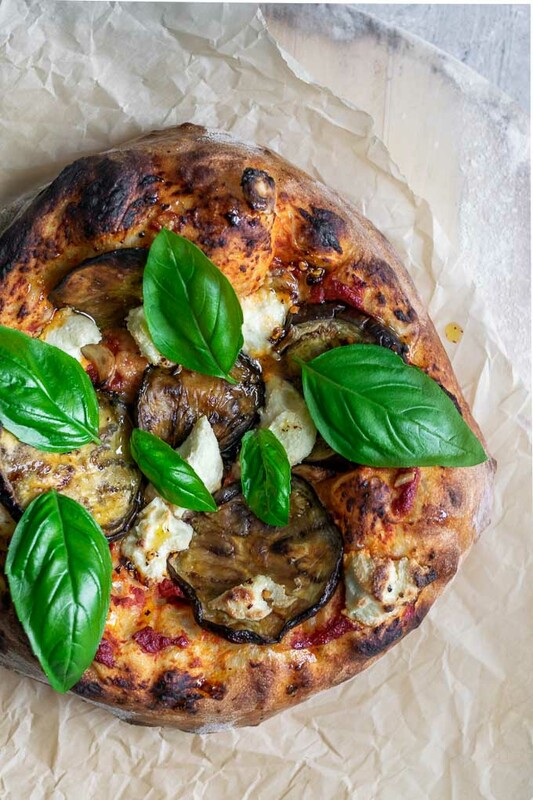 We’re talking a pillowy pizza crust topped with juicy, tender chili oil roasted eggplant. Dollops of creamy vegan almond ricotta, a flavorful red sauce, and completed with drizzles of chili oil and fresh basil…. If you love Mexican food (hi! me!) 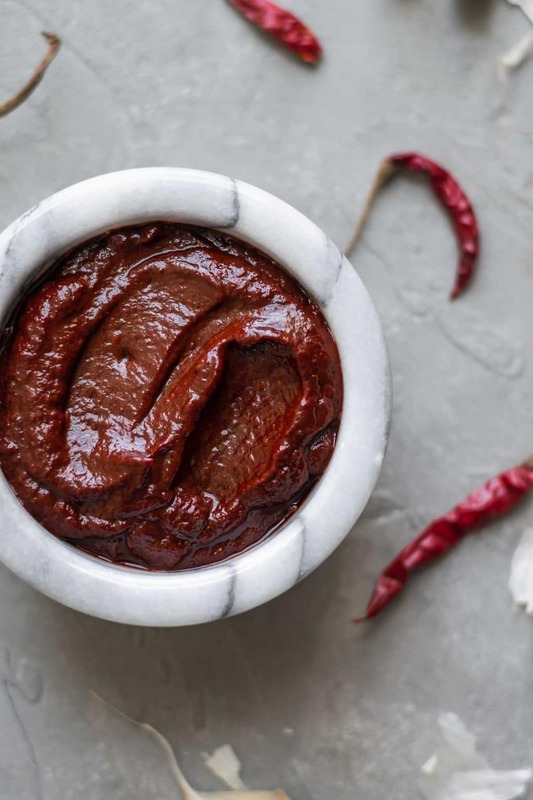 then you have got to make this red chile sauce. Made from dried chiles it has all that authentic flavor your Mexican food has probably been missing. I’ve been experimenting with this sauce for the past 6 months (basically as an excuse to always have some version of it stashed in the fridge). It’s the perfect base for your taco “meats” and Mexican soups. It makes for the most flavorful enchilada sauce, and adds so much depth to your beans. It even makes a darn good sandwich spread. And it’s the easiest to make! I think you’ll love it! It’s a streamlined, flavor-packed, 8-ingredient recipe with almost no hands on effort and is ready in no time. Hi I'm Eva, the face behind The Curious Chickpea. My favorite animal is the tiger, but I'd rather hug a chicken. I love to cook and bake and want to share that passion with you.